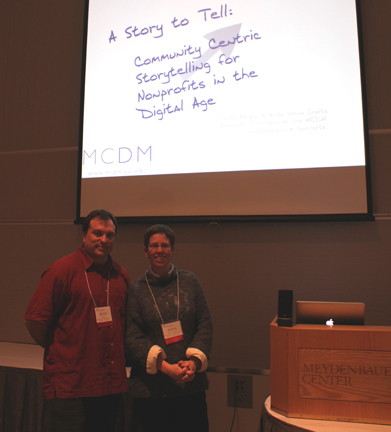 Scott Macklin and Anita Verna Crofts spoke at the 17th Annual Washington State Nonprofit Conference last Friday. 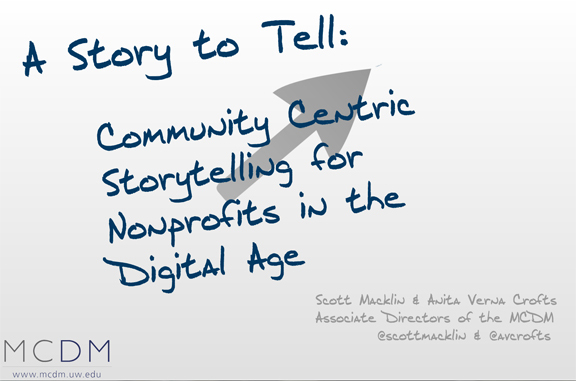 Stories have always been the heartbeat through which communities are bound and the footsteps by which nonprofit organizations bridge their mission to the outside world. With the advent of digital media and social technology, the nonprofit sector’s ability to create, disseminate, and thus challenge dominant modes of mass media has arrived. Despite newfound access to these tools of creation and distribution, successful communication still requires the timeless basics of effective, credible, and inspirational storytelling–perhaps even more so given the exponential increase in new content competing for attention.